The tense use in that language hurts my brain. As much as it was a horror year onfield, Brown played all but 1 game in 2016, finished 6th in the Crichton and played more football than any other year of his career. Its actually been edited. When l read it this morning it was originally about Brown as a 2016 top up player still being on the list. So someone’s corrected the error and he’s tried to cover it up. Because someone drafted in 2015 still being on a list is unbelievable. Barrett’s a clueless idiot, who takes cheap potshots from the rafters is an idiot, who is clueless. I’d like to slide open the door, put that bloke outside, and slide it shut. I’d like to hire Purple on an exclusive mega deal. When he has quit all his other gigs and rocks up day 1. I’d explain this is a “sliding doors moment”, your fired. If it’s his sliding doors why does he always say “we”? Unless he’s talking in third person and referring to himself of course given he has such a big ego. 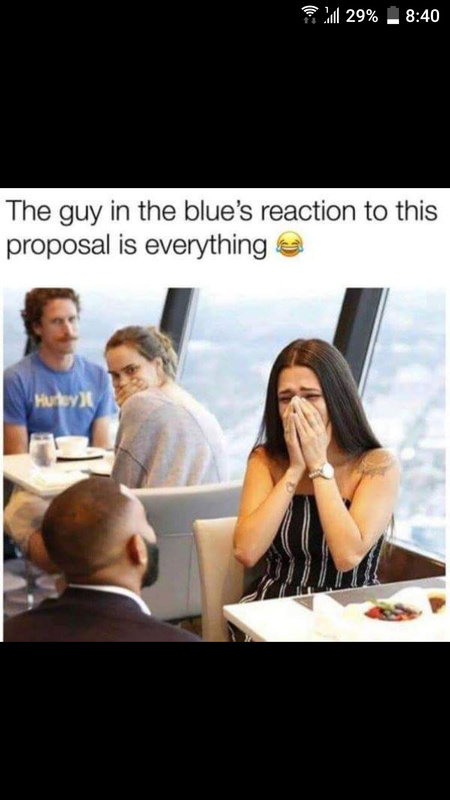 Mitch wasn’t too happy about this proposal. Clearly he has never seen Brown play. It’s never been about whether brown can play, always his body letting him down. The KPFs picked for round 1 will be fascinating. Biggest uncertainty at the moment. Brown is very very mobile. I just wonder whether he would be a better option for the mobile ( CHF) role while Joe could hang around near goals in the first instance, so we minimise chances of a flare up of the early onset OP. That leaves Smack as the second tall and ruck chop out. Would that be too many talls in our forward line? Maybe not, since Mitch can cover a massive amount of ground, right up to the wing/ HBF. Do we go 2 or 3 talls? Or do we rotate a tall mid like Langford or Laverde? You do realise Stringer, Langford an Laverde are all the same height yes? Yeah. I’m standing in a 1hr queue waiting for customs. Slowly moving like cattle to slaughter. Not in perfect argument crafting environment!